Ask A Springbank Links MARKET EXPERT! 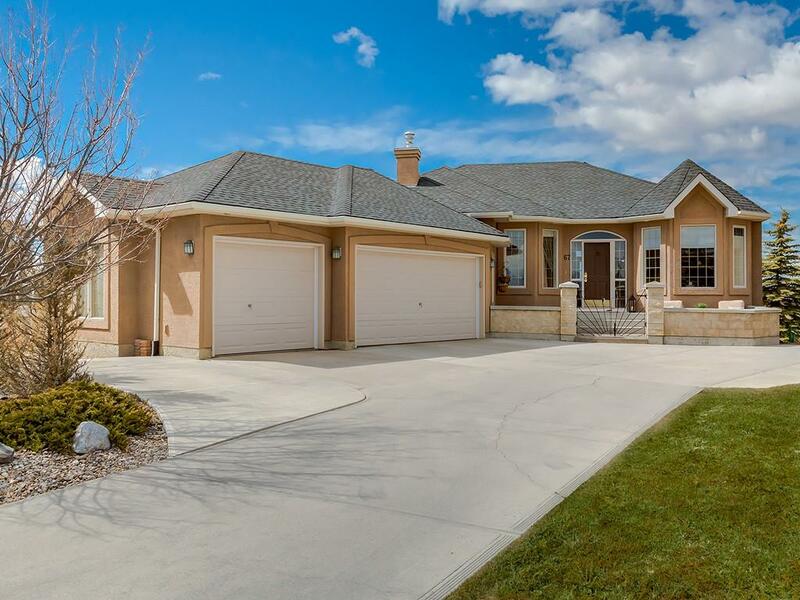 This beautiful 5 bedroom bungalow situated at the end of cul-de-sac on desirable Lynx Lane boasts over 3650SF of immaculate space! The main floor has an open concept plan perfect for entertaining. The kitchen features fine appliances, granite and lots of cabinet space. Step out of the dining nook onto the new deck, overlooking the 12th hole of Springbank Links Golf Course with valley and mountain views. Also on the main is a formal dining room and 2 large bedrooms. The master features a walk in closet and luxurious 5 pc. ensuite. The walkout basement is fully finished with 3 more bedrooms, a 4 pc. bathroom, games and TV area and plenty of storage. The outdoor living space is beautiful, with a lower hot tub/ patio area, firepit, beautiful gardens and more. Additionally there is newer storage shed with matching exterior and oversized triple heated garage, newer roof, paint and much more. Call for your private tour and enjoy country living with urban convenience! Home for sale at 67 Lynx Ln Rural Rocky View County, Alberts T3Z 1B8. Description: The home at 67 Lynx Ln Rural Rocky View County, Alberta T3Z 1B8 with the MLS® Number C4218487 is currently listed at $799,000.